You’re driving down the road and come upon an accident. You’re walking down a path in the park and find someone lying face down in the grass. Someone suddenly keels over and is unresponsive. How do you go about determining if that individual needs CPR? There are a few simple ways to tell if someone is in need of CPR. Knowing when to give CPR and when not to give CPR is just as important as knowing how to give CPR. We’re going to discuss things to look out for when making the decision to administer CPR on a victim. You’re driving down the road at night and see an abandoned baby carrier on the side of the highway and no one in sight. Beware! There may be a crook lurking in the trees nearby, waiting to prey on empathetic women that stop to help. Sadly, criminals have been known to take advantage of our human instinct to help others. We’re not saying don’t stop and help people in need. Just be wary and think twice before putting yourself in harm’s way. Reporting an emergency or accident to local authorities is a great way to help if you feel unsafe about the situation. Women traveling alone at night should be very cautious about stopping or engaging a potential victim. If you see someone that looks like they might need CPR, take a quick note of your surroundings. There’s a chance the victim has suffered accidental electrocution, and touching that victim could cause injury to rescuers. If you suspect electrical dangers, proceed with extreme caution and do not put your own life in danger. If you see someone keel over or come across someone lying lifeless, these are pretty good signs something isn’t right. However, there are a number of medical issues that could be at play, and CPR may or may not be the appropriate response. Download the 2010 American Heart Association Guidelines for CPR/ECC for additional information. 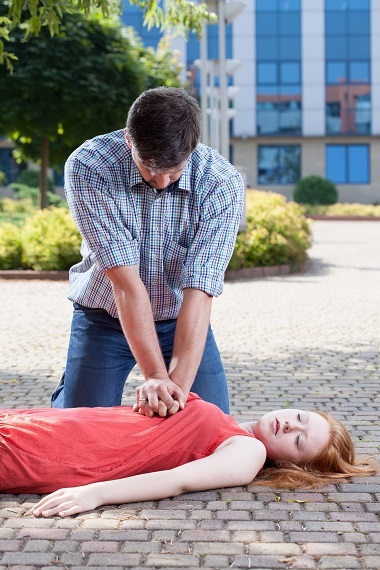 Breathing and pulse are the two key factors in determining if someone needs CPR or not. Learn the warning signs of heart attack, stroke, and cardiac arrest. If a person isn’t breathing or doesn’t a pulse, consider them in dire straits. Make every second count. Call 911 and begin chest compressions and/or rescue breathing depending on the emergency. Sudden Collapse: Check for breathing and a pulse. Unconsciousness: Try to wake the person. If unsuccessful, check for breathing and pulse. Breathing Problems: No breathing or limited breathing may call for CPR. No Pulse: If a pulse can’t be felt, the heart may have stopped. 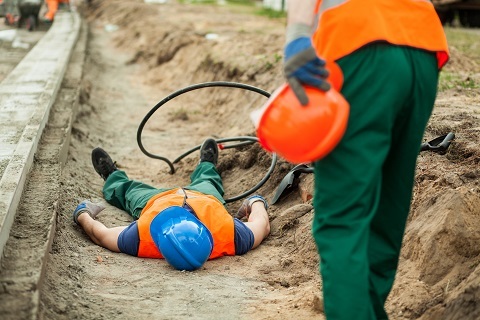 Electrocution Injuries: If you witness an electrical injury. Do not touch the victim. Try to kill the power source or remove the victim from the electrical contact, but be sure to use something that doesn’t conduct electricity, like a wooden broom or stick. Drowning, Drugs, Exposure to Smoke or Inhalants: Check for breathing and a pulse. Injuries of this nature might call for a combination of rescue breathing and chest compressions. Contact us or consult our FAQ if you have additional questions about CPR training, but call 911 if you have an immediate emergency. 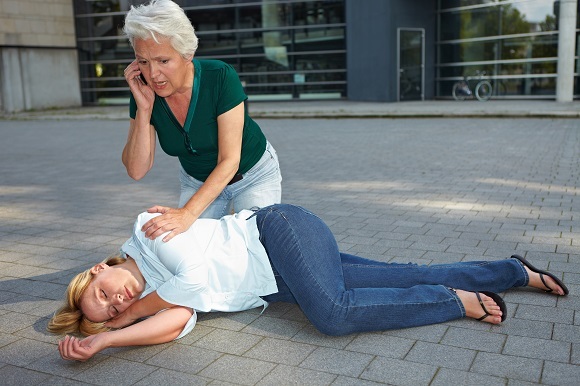 911 operators are trained at walking laypeople through the steps involved in identifying someone in need of CPR, as well as the process of administering CPR. People often use these two terms interchangeably. 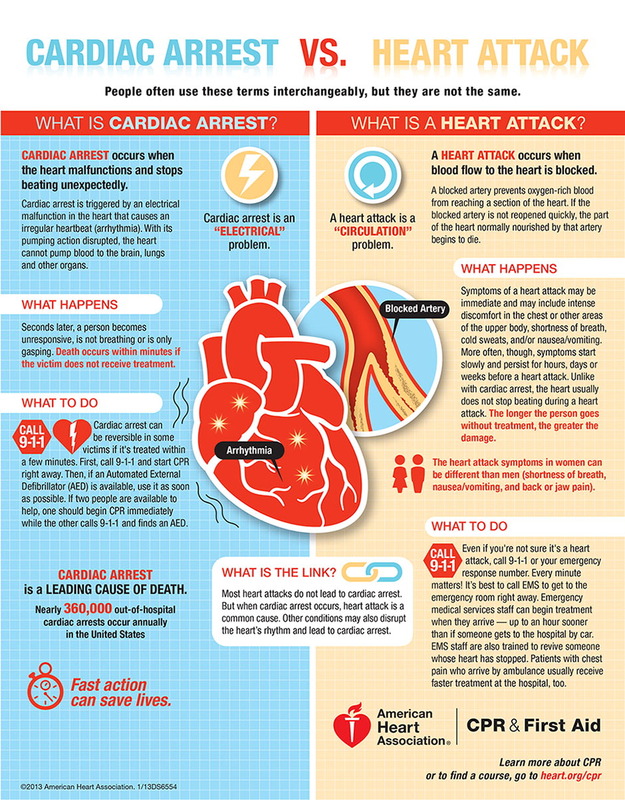 Cardiac arrest is when the heart stops correctly receiving electrical impulse signals to beat. A heart attack is the result of restricted or blocked blood flow to the heart. In a cardiac arrest emergency, CPR is going to be needed, as well as the use of an Automated External Defibrillator (AED). 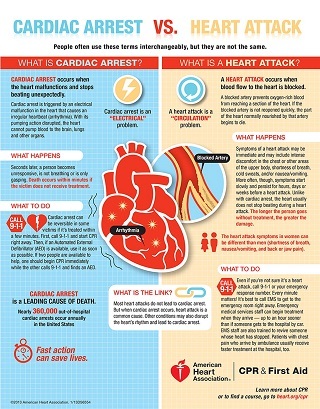 While a heart attack is a common cause of cardiac arrest, most heart attacks don’t necessarily result in cardiac arrest. If a person has a heart attack, do not perform CPR unless that individual goes into cardiac arrest. Deciding to stop CPR is something that has to be determined on a case by case basis. If you’re administering CPR and see obvious signs of life, such as movement or breathing, stop giving CPR. And it should go without saying, stop administering CPR when trained responders arrive or the environment becomes unsafe. If you’re a parent, teacher, coach, mentor, Scout leader, or otherwise work with children, you owe it to those kids to get a CPR Certification and be prepared to help them in an emergency. Contact us to learn more about CPR Training Classes in Richmond, Virginia or Raleigh, North Carolina.